The Smoke traveled to Joplin, MO this morning for the Missouri Southern Stampede XC Invitational. 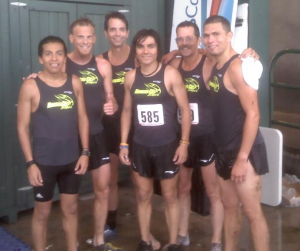 Congrats to Javier Ceja who led the way, and all the guys who battled through the downpour, the mud, and a treacherous 8k course. Although club teams were not officially scored, the Smoke's effort would've been good for 10th place overall.